The following is a talk (actually a sermon) that I recently gave at First Parish UU in Portland, Maine. Several of you have asked to see this, so here goes! There is something magical happening right now. Many of us are awakening to the understanding that we are so much more than we have been taught. That we are beings of light, we are creators, we are healers, we are manifestors. We are connected through a web of energy that cannot be seen (by most) but can be felt with the eyes of our hearts. The indigenous people of the world understand this. They know how connected we are (especially in spiritual communities). When a red-tailed hawk eats a snake, it starts with the head first. Many believe this is because it is intuitively consuming the most vital energy of that animal, which lies in the head, where our crown chakra is also found (our direct connection with the Divine). The hawk is absorbing the energy of the snake and all that the snake has eaten. And so it goes up and down the food chain. How often do we stop to consider this web of interconnection and its effect on our own lives as we cohabitate a world with other living beings? How do our daily actions affect their lives? How the experiences of animals and plants affect our own? We are all linked, more intimately connected than we may realize. When we hurt the Earth with pollutants, we are also hurting ourselves. Now, I know you may have heard that before in a figurative sense. But what if it is literally true? That chemicals from our food that end up in the Earth actually make it back into our bodies, rising up the food chain? That when we spray our lawns with pesticides, and a bee lands on that lawn, that we are effectively poisoning our own food supply? When we scream in pain outside, does it hurt the heart of the bird that hears our cry? Maybe it does more than we know. Maybe the Force is more real than some may think. Thankfully, this is all changing. The energies of the Earth are shifting. We are receiving frequencies from beyond our planet that are activating our DNA. Like a radio antenna that was broken in two, we are piecing that antenna back together to receive light, which is information. Through meditation (join us for free meditations! ), we are re-wiring our brains to learn to listen to, and trust our inner guidance, our intuition, our spirit guides, angels, masters, teachers, loved ones, Source/Spirit/God. And we are coming to understand that our universe actually exists on vibrations, on the space that is in between the protons and neutrons and electrons in every atom which makes up every piece of matter on Earth. And in that space is energy, waves of frequency upon which our thoughts travel and create vibration. Waves that connect each of us, through our emotions, to each other. I had never understood that there is a net of energy, like the threads of a spider web, linking every living being, plant, human, animal, rock, dirt on this planet and beyond this planet. I knew a bit about quantum physics, and was fascinated with theories about the existence of God, but I never really connected the dots. It wasn’t until I took some bold steps in my life and left my stressful job, started meditating again, talking to higher guidance (I particularly like angels) and doing some research that the lightbulbs began illuminating in my brain. I started seeing through the illusions of mainstream media, designed in large part to foment fear and anger and keep us separated from our intuitive, Divine essence. I started to understand what has been happening in our world. It was, one might say, an awakening. I began piecing together why things are the way they are, and believing that I have, within me, just as you have within you, a piece of the Divine Source Energy commonly known as God. I started to see that we have all the answers we need within ourselves – we just need to unlock them. That we can heal others with our minds and with our hands, using light, just as Jesus, Buddha and other Masters did. And that we are powerful creators, and with our free will as humans, we can manifest realities and situations with our own thoughts (not as simple as it sounds since our subconscious thought patterns, often based on years of conditioning from a young age and many lifetimes, often block our high-vibration thoughts!). This includes aligning with a flow of abundance and re-framing our view around money. From a global perspective on the connection of our spirits to each other, maybe this makes sense to you. But what about from an individual perspective? 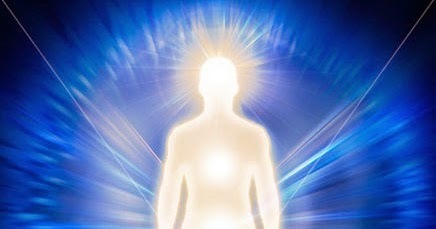 How does your soul, with its unique qualities, contribute to what’s happening on Earth energetically? As we expand in our consciousness, we are also expanding in our souls. In fact, the more we explore what it is that we have to offer the world, what our individual gifts are, the more that we can evolve toward the ultimate goal of enlightenment, or just self-actualization, and ultimately to bring healing to the Earth and all its beings! The archetypal pattern of the hero’s journey, popularized by Joseph Campbell and encompassed beautifully in the ancient art of Tarot cards, is a particularly effective tool for understanding our personal journey in this lifetime and the soul lessons that we set out to learn (before incarnating). Although our modern society has not emphasized the importance of this soul growth, but I believe that it is an essential tool to our shifting into becoming the spiritual beings that we truly are. One of the most important aspects of this soul journey is the process of shedding the layers of Ego, that aspect of our personalities that makes up our fears, doubts and worries, which often exist at a very subconscious, deep level. The book Soulcraft by Bill Plotkin (gifted to me by my father) describes this descent into our shadow side as one that is often overlooked in much of the spiritual world. It’s not pretty or fun to go into the dark recesses of our childhood, excavating where our thoughts of not being enough or our fears of being seen or our worries about being judged by others. These often come from well-meaning parents or adults who unintentionally help create them! As Plotkin claims, the layers of the protective ego, like that of an onion, helped keep us safe as a child but have since evolved into a voice of “resistance.” Separating from this resistance is an essential part of clearing the debris in our paths. We can assure these egos (often a version of our “inner child”) that it is safe for them to quiet down. That as adults, we have grown enough and have developed enough resources and inner strength to get us through life now. That they are no longer needed to protect us anymore (since their version of protection often prevents us from taking risks that help us expand in our consciousness!). In Soulcraft, this protective ego is represented in a real-life example. Near the end of World War II, a group of Japanese soldiers ended up marooned on an island. The war ended, but they were still there, unaware. When they were finally rescued and returned to their villages in Japan, they knew of no other roles for themselves other than being warriors. But the villagers didn’t mock or criticize them. They thanked the soldiers every day, but gently suggested that they didn’t need to fight anymore. That they could put down their armor. And they told them this every day for a while, until gradually the soldiers began to accept the truth, and found other forms of livelihood and roles to fill. 4) verbally processing to identify what the voice of the protective ego is saying to us and when it tends to flare up the most. Maybe as you’re listening to this, you are thinking of your own life and how this might apply. I hope maybe you are! I will say, that as you can probably imagine, doing this shadow work, going into the places that are painful to explore, takes courage. Many people avoid doing this work, and sometimes it isn’t until our deathbeds that we start to see that we don’t have to listen to that protective ego version of ourselves, that we are so much more than we have been taught. Don’t let that be you. Take some bold steps to begin listening to that little inner voice inside, nudging you to paint more, to dance, to write, to heal, to spend time outdoors or with children, to play music, or to engage in any sort of activity that is allowing your soul to fully express itself. I’m not suggesting that you quit your job tomorrow to do this. Just take small steps, just experiment, just explore a new idea. Reach out to someone to test something out. You’re not committing to anything, you’re just moving the paddle in your canoe, as you travel down the river of life, to get closer to the flow of your true essence. Doesn’t it get tiring paddling upstream? Find the flow, wherever it may be. By quieting the mind and asking our higher guidance to help us, we can receive unconditional love, guidance and support every step of the way. And listening to and trusting the answer that come, in dreams, on street signs, in number patterns, songs on the radio or just a quiet, persistent thought that keeps coming back. You probably already know what your intuition, or your soul/your guides from other realms, is asking you to do. You already hearing/seeing/feeling/knowing the messages from your soul. It’s just that we often ignore these messages, allowing the loud protective ego (fueled by the noise of the media/information overload) to dominate the conversation. Quiet your mind in meditation (even if just for 5 minutes when you can) and you will find that the noise diminishes and the inner wisdom emerges. This is our collective expansion. The veil is lifting and the illusions are being shattered. Through our soul work and honing our intuitive gifts, we uncover the magic that lies within. We begin to feel how deeply we are connected with the energy of the Earth and its life. We long to grow food, dig our hands in the dirt, build beautiful things with our hands, share food and resources with our neighbors and heal the most vulnerable. We come together with others in communities and find joy in simplifying our lives. And this collective expansion not only will lead us to personal freedom and universal peace, but to the preservation of the human race and ultimately of the planet. After stepping through the gates of truth, it’s a whole new, beautiful world.